It's Galvin - but not as you know it. Galvin Green has launched its EDGE line of apparel aimed at younger golfers with an eye on style. It took the Swedish brand three years to nail the aesthetic they were after, with all the clothes still boasting Galvin’s trademark premium performance. Featuring 3D patterned bomber jackets, camo polo shirts, sweatshirts and bandanas, the range is composed of 16 contemporary garments and accessories branded with its own distinctive tone-on-tone logo. Among the Shell layer garments in the EDGE collection is a waterproof GORE-TEX full-zip jacket with a mesh lining and lightly padded collar (named E-LLUSION) that has a striking 3D pattern and articulated sleeves, plus front pockets and adjustable cuffs and hem. Detailing includes a water repellent zipper and spring loaded zipper puller, plus subtle branding on the chest and back of the collar. 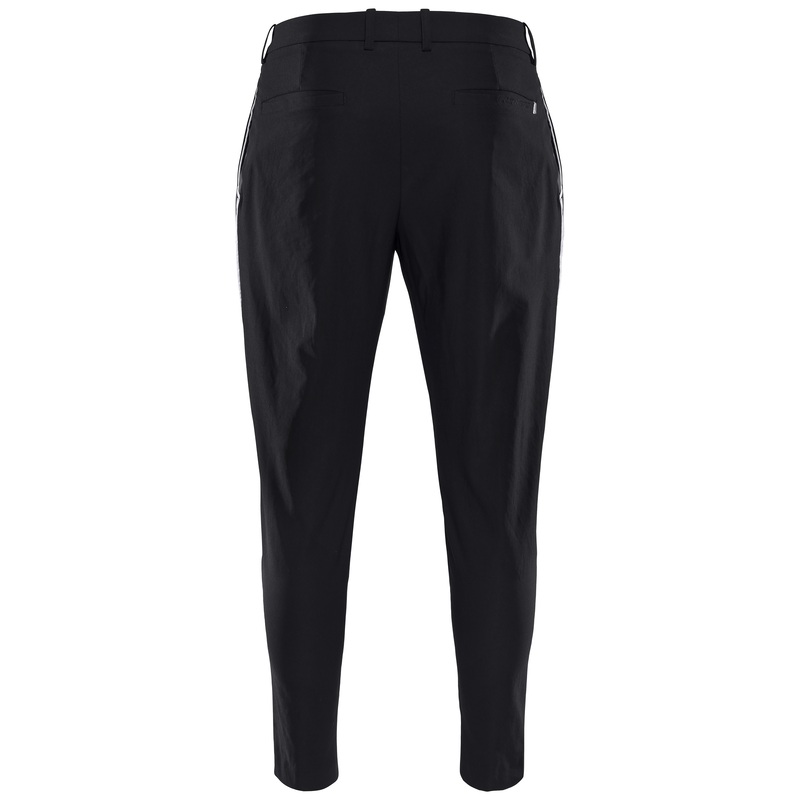 An extra lightweight jacket in GORE-TEX Paclite Technology stretch fabric and a tailored fit (E-TRIANGLE IRON), features an extra-light padded collar, front pockets and articulated sleeves, as well as adjustable cuffs. The two-way, front-opening INTERFACE-1 windproof jacket (E-GOLF BASE) features a full-zip and button-down option, plus a quilted collar, rib cuffs and hem, front pockets and a spring-loaded zipper puller. It’s made from 100% polyester stretch fabric with PTFE membrane and is water repellent. Another windproof INTERFACE-1 garment is the E-CAM PRINTED full-zip jacket with a double layered collar and a smart embossed appearance with red accent on the wind panel. It has rib cuffs and hem, plus front pockets and, like all the garments in the line, is extremely breathable as well as water repellent. 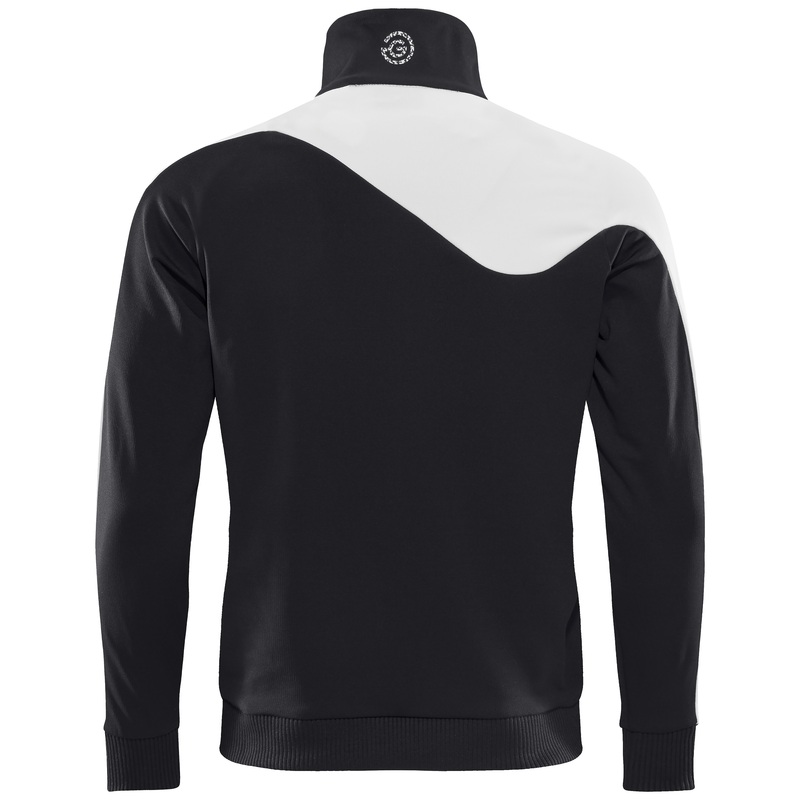 There are three stylish INSULA jackets - the E-INSULA PATCHWORK, the outlandish black and white E-INSULA WAVE half-zip pullover with front kangaroo pockets and the INSULA GG LOGO sweatshirt that sports the brand and EDGE logo proudly on the chest and a cellphone pocket on the front. Complementary E-BLACK trousers with a bold white stripe are a standout feature of the line, along with VENTIL8 PLUS shirts called E-EMPFLAGE, CAMONOIR, WHITE & RED. The price for garments in the new EDGE collection range from £420 for the ELLUSION jacket to £35 for the Bandana. Head to the Galvin Green website for more.